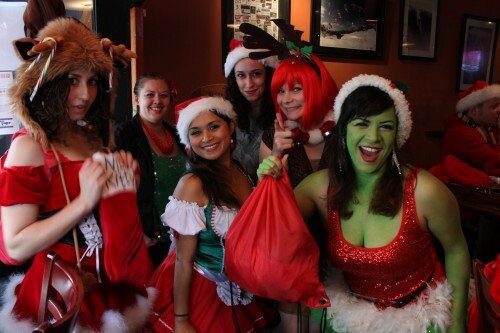 The Enthusiast goes to Santarchy 2012! Christmas time in San Francisco brought with it the epic pub crawl known as Santarchy. People from all around flocked to the city dressed in seasonal attire and got their drink seriously on. Here are but a few of the moments we captured. See even more on our Facebook page. The girls warming up at The Boardroom.